The 2-Day Leadership Training program is geared towards advancing leadership skills with managers, supervisors and key employees for small to large organizations. The leadership program focuses on how leaders can best accomplish company goals within their organization through employee workforce engagement. Participants will greatly improve communication skills with co-workers and customers, and learn how to best build and enhance a team. Participants will practice proven ways to strengthen leadership skills and how to optimize performance from the people they lead. 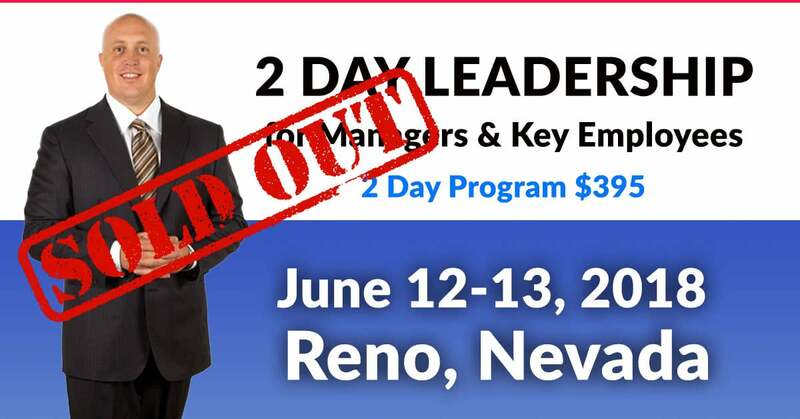 The leadership series is a total of 16 hours of training. The program maximum is 24 participants.